At this point, a hair transplant can only be performed by harvesting DHT resistant hair from the back of your own scalp, and then transplanting it into the balding areas. In some cases hair can be transplanted between identical twins with the same genetic makeup. In general it is believed that hair transplanted from one person to another will be rejected unless anti-rejection medications are taken for life. 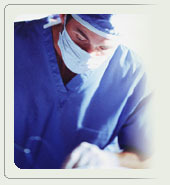 Currently in the United States, the field of surgical hair restoration is completely unregulated by both the government and the medical community. 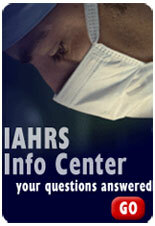 The IAHRS Info Center features articles and questions answered by hair transplant surgeon contributing editors, all members of the International Alliance of Hair Restoration Surgeons..
©2004-2010 American Hair Loss Association. All Rights Reserved.